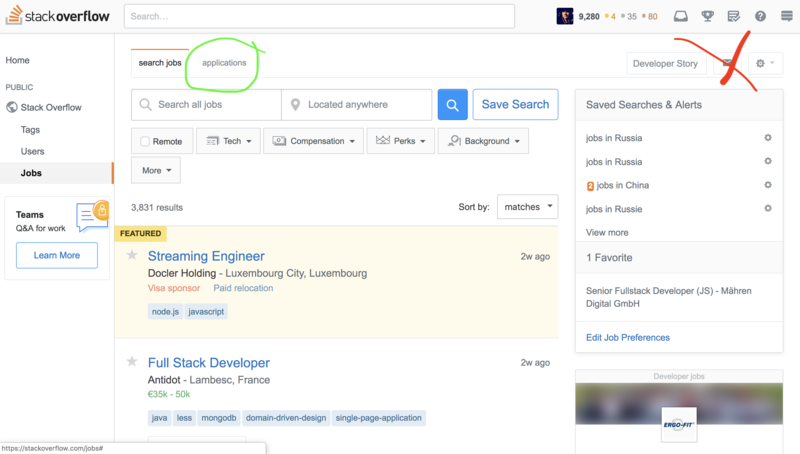 Can the user experience on finding the job applications/messages be made more clear? Jobs messages page is not responsive on mobile? I've currently been scrolling through my inbox to get to my job messages and job applications page because I couldn't find my way there via the jobs interface. Without this meta post I probably wouldn't have found it. When I'm under the jobs tab, I'd expect job applications and job messages to be a really important aspect to it. I expected it to be visually obvious. However, it's just a small email icon almost "invisible" (completely subjective) to me. I get how "messages" can make one think of an email icon, but what about applications? I find it hard to understand the logic of putting it under the "email" icon. 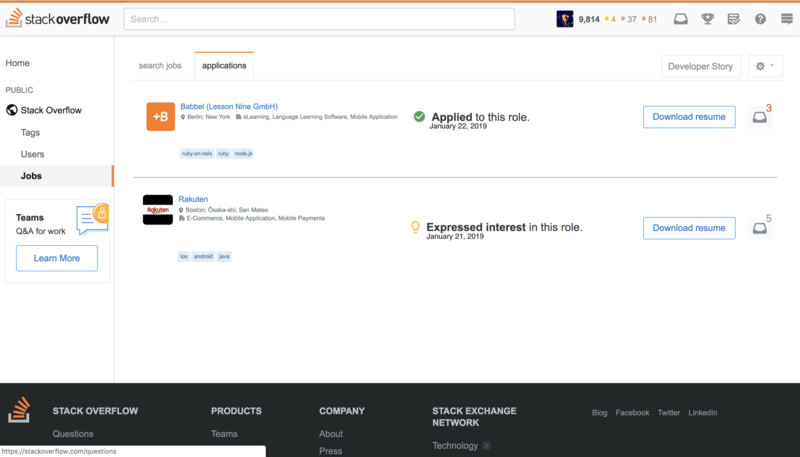 On a side note, I feel like the job applications page is unfinished (the main jobs page feels really polished while this messaging system doesn't), also a spacing bug at the footer. First, thank you for this detailed review of our UX on Talent. TLDR; YES, WE AGREE. This is something we discuss internally all the time (re: the messaging placement and feature). Something we think about often is how the SO website inbox and your job board inbox should maybe be united as who wants to have more than one inbox on a website? The feedback that your applications and messaging inbox should be separate is great, and not something we have discussed. This will be added as a part of our conversation moving forward. Where would you like to see notifications about your applications? What kind of icon would you like to see? 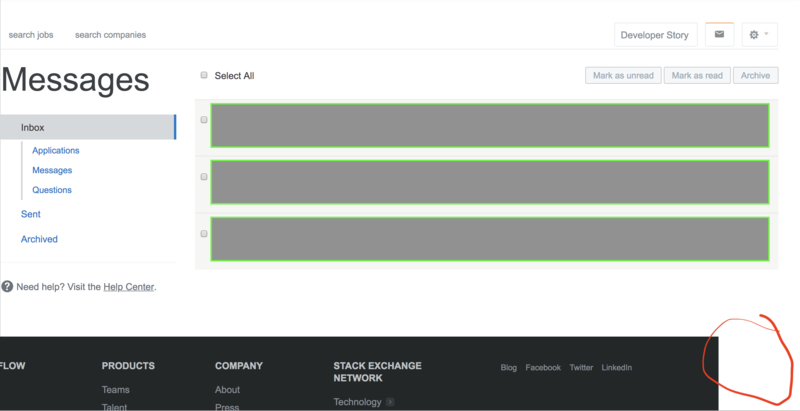 Lastly, that responsiveness issue looks TERRIBLE, we are sorry! We're slowly working to make the whole site responsive, that page is on our list. Something we think about often is how the SO website inbox and your job board inbox should maybe be united as who wants to have more than one inbox on a website? I think the "system" in general is already well thought out. The website inbox is already united (with the job inbox) "in a sense" since I receive notifications in the website inbox whenever one of my job applications gets a response. And for me that's awesome! Unsure if that makes sense, let me know and I'll try to expand on that point. I think that an eventual thing that could be quite interesting is to have two tabs in the SO website inbox for people that have active job applications/messages. I believe that adding the applications as a tab (as there seems to be plenty of room) would seem more logical. In the current messaging system it seems like "applications" are a child of the title "messages". Also in the inbox "messages" and "applications" contents are EXACTLY identical. Logically, I think it should be the other way around. I used the inbox icon, but anything to indicate (new/existing) application responses is completely fine. Not the answer you're looking for? 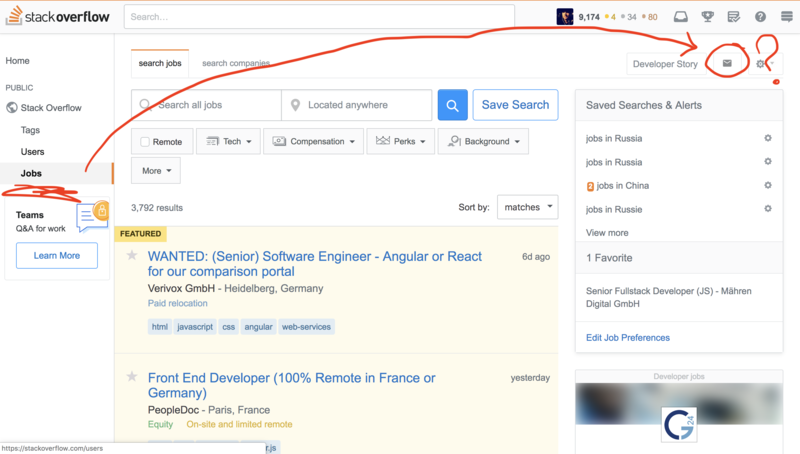 Browse other questions tagged feature-request bug jobs jobs-messages .